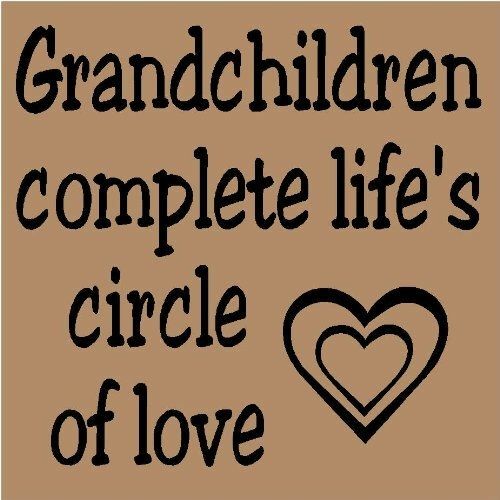 Mimi, pop pop, bubby, sabba, nana, peepa… grandparents! Grandparents come with many names and countless ways to be a grandparent. The grandparent-child relationship is unique, without all the pressure of being a parent. As the famous quote by Lois Wyse says: “If I knew how wonderful it would be to have grandchildren, I’d have had them first”. Grandparents love unconditionally and spoil endlessly, then go home to let the parents suffer the consequences. As it’s always been from the beginning of time! Grandparents earned the privilege of being the fun grown-up. They raised their kids! They know the power of great parenting and the limits of things parents can’t control. They know not to sweat the small stuff. And they know children are resilient to grow into masterful adults despite the mistakes of well intentioned parents. Yes, grandparents give something priceless and irreplaceable to grandchildren but they never quite stop being the parent to their children. Parenting is complicated; grandparenting is easy in comparison. So regardless of whether or not grandparents do everything the way you hope they would, children benefit enormously from their presence and their participation. Make the most of this unique relationship. Help grandparents be prepared for different ages and stages and for new things their grandchild loves to do, especially grandparents who can’t visit often. Build connections around what your child loves to do where your child is most comfortable and confident. Children thrive in familiar settings whether at home or at favorite play places, with favorite games and much loved toys. Grandparents arrive ready to share hearts full of love. Children may need a few minutes or a few days to embrace all the love that’s coming their way. Parents help by staying positive and supportive as the relationship grows over time. Remember, not all grandparent-grandchild relationships thrive in the first few years. Some grow deeper during school-ages or even in teen years. The relationship grows best when parents continue to believe in its value over time. Also, accept that not all grandparents want “advice” on how to be the best grandparent. Celebrate grandparent interests. What do they want to share with your child? Reading, baking, sports, museums, national parks, gardening or shopping? A wise educator once said, “all we ever teach is ourselves”. Children learn from grandparents; they also learn through them – through their joy and their passion. Grandparents bring different experiences into the relationship with grandchildren. Each new person in your child’s life adds personality, perspective, knowledge and style that no one else shares, preparing your child for all kinds of new experiences. It’s okay that grandparents think and act differently than parents. If some rules are important to grandparents that aren’t critical in your home, relax. Your child can learn different rules in different places – just stay consistent with yourself. If there are disagreements, try to discuss them away from the grandchildren starting from a foundation of mutual respect. It’s easy to get defensive when someone makes parenting decisions contrary to your own, even grandparents who see their children parent differently than they were raised. Grandparents may or may not live up to your expectations of what kind of grandparent they should be: from hands-on babysitters to extravagant gift-givers, or not extravagant enough. There are no definitions of a perfect grandparent just as there are no definitions of a perfect parent. Each grandparent must define this relationship with each grandchild and his parents. Mutual respect goes both ways: respect for a grandparent’s right to grandparent their way as well as a parent’s right to parent their own way, including learning and growing in the process. Grandparents may want to be helpful, find shortcuts, or give unsolicited advice. Honor grandparent’s experience by acknowledging the job they did. Agree to disagree on the specifics if necessary. Stand bravely in your prerogative to learn for yourself how to be the parent you want to be and create the family life that works for you. Lasting bonds are formed with grandparents near and far through on-going attention to the meaningfulness of that connection. When parents talk about grandparents – where they are, what they are doing, how they feel about the grandchildren, grandchildren feel the presence of grandparents in their lives. Sharing pictures and videos is easy with online photo and video sharing. Habits that begin with toddlers grow as grandchildren learn to use grandparent apps like Double Scoop to carry own their own independent conversations with grandparents. And Skype makes it possible for grandparents to be in the room for new personalized grandparent traditions: from weekly talent shows to singing bedtime songs. Today, the possibilities for grandparent relationships are limitless, as age-less as the grandparents themselves. Lucky are the children, and the grandparents, who write their own way to share this extraordinary bond.